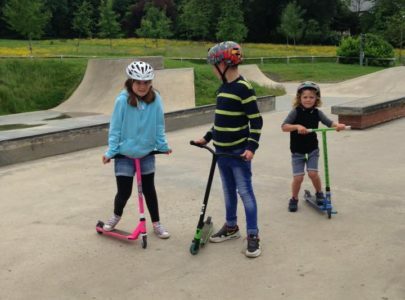 Are you the owner of Harrogate Skatepark? Harrogate skatepark is a concrete skate park found in Valley Gardens. The skate park was built buy Gravity and was opened in the year 2011. It features an open sided bowl that has an extension on one side, the open side of which opens up onto a transition run that features a volcano and a pump bump finishing with a hipped quarter pipe.